Christ Apostolic Church is blessed with so many Ministers of God with abundance of God’s presence in their lives. One of such Ministers is the incumbent Superintendent of CAC Itire Districts’ Coordinating Council (DCC), Pastor Gideon O. Oladokun. He is man of God with an overwhelming wealth of experience in the ministry. Apart from the fact that he is a book writer, Pastor Oladokun is also a singer and has released so many albums. 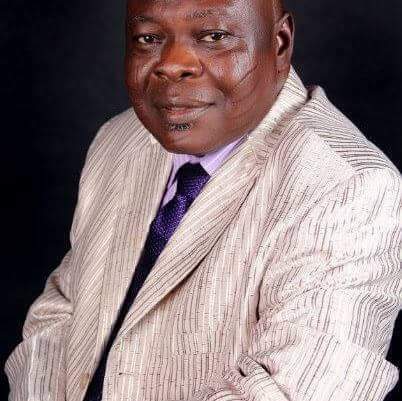 In the interview with ‘GBENGA BANKOLE, Pastor Oladokun speaks on the forthcoming annual “Showers of Blessing” programme of Itire DCC headquarters, how more than six Prophets told him God wants to use him at Itire DCC even before he was transferred there and some other interesting issues. EXCERPTS! How do you feel to be transferred from Abuja to Itire DCC? It is the will of God for me to come to Itire DCC because I never thought about it. Though, God had told me when I was transferred to Abuja that I would spend only one year there. I must say that I didn’t expect my posting as early as this, but it is the fulfillment of the word of God. I want to appreciate God for this. My transfer to Itire DCC confirmed that God is indeed leading the authorities of Christ Apostolic Church Worldwide. It confirmed that they are not just administering the mission with flesh. Before I was transferred to here, more than six Prophets called me that God wants to use me at CAC Itire and the DCC as a whole, but I never told the authorities. I never said anything until I got the posting letter. I believe it is the will of God. What is your vision for Itire DCC? There are some things God has told me about the DCC, most especially Itire assembly before my arrival and I believe with patience, God will do His work. I don’t want to disclose some of them now. I have discussed with the Board of Elders what God told me before my arrival and they were amazed because that was what they have been praying for. I am going to work on the restructuring of the DCC. We are going to take evangelism with all seriousness and we have already started. In just few months that I got here, we have decked a church at Okota and it cost us more than one million naira. We are still doing some other projects and God is helping us. At the General Council meeting held this year, the General Superintendent of CAC Worldwide, Pastor S.O. Oladele said that there are so many Pastors who are without assemblies due to the fact that there are no assemblies to fix them. What is your vision regarding church planting? Itire assembly is known right from the beginning for church planting because they planted most churches under them. Now that I have arrived here, I have the vision to continue with it. Even the youth of the church have told me about the assembly they want to establish and I support them because that is one of the purpose of my coming. Showers of Blessings is a yearly programme that CAC Itire DCC headquarter normally holds. It takes place at Itire DCC headquarters. It is an annual 7 weeks prayer programme where the God of Ayo Babalola has done uncountable signs and wonders since its inception. This year's edition which will start from July 2nd to August 14th will start with Pre-Showers of Blessing programme. The Pre-Showers of Blessing programme has two phases. The first phase which is the first week will hold from June 17th to 23rd, 2018 from 6pm to 8pm. The second phase (2nd week) will hold from 24th to 30th June, 2018 by 6pm to 8pm. The first week of this year's Showers of Blessings programme is from 2nd to 3rd of July. The 2nd Week is from 9th to 10th July; 3rd week is from 16th to 17th July; 4th week is from 23rd to 24th July; 5th week is from 30th to 31st July; 6th week is from 6th to 7th August and 7th week from 13th to 14th August, 2018. God laid it in my heart that people are sick physically, materially and spiritually. God assured that He will heal them in the programme and that is why when God gave me that vision and whispered to me that He wants to heal His people, I quickly searched for it in the scripture where God says “I will heal your land.” The healing is for all, for everybody. What should be the expectation of people who are looking forward to be partakers of the programme? I enjoin people to attend the programme. By the grace of God we have invited powerful and anointed ministers of God with difference in CAC. I want to believe that anyone who comes will never regret his or her coming. Aside that, God is going to really heal people. Among the ministers of God we invited are those who have the gifts of healing, signs and wonders, miracles, those who are very prayerful and those who are teachers. It is going to be fantastic. The lives of those who come for the programme will never remain the same. My induction service will come up on the 24th of June, 2018. I don’t have much information to give about that than we have invited some people and we are expecting them. These days, the title “Pastor” has been abused by people due to the fact that there are fake Pastors in the society. What do you think is wrong and what is the way forward? It is the fulfillment of the scripture. The Bible says in the latter days all these we are seeing will increase. Majority of worshippers of these days don’t want real ministers of God. The Bible says because they have itchy ears, they will gather false teachers for themselves. They will prefer those who will not tell them the truth or those who will tell them what they like. I still want to believe that there are still real ministers of God because anywhere you see fake or counterfeit, there must be original. Because we are hearing about fake ministers of God does not mean we don’t have original which I am one of them by the grace of God. What is your advice to President Buhari on the state of the nation? I don’t have new advice than what people have been telling him. To me if Buhari wants to continue with us, he should address the issue of insecurity. People are losing their lives and we cannot shy away from that. Kidnapping is rampant. Although I don’t know if those kidnappers are doing it destroy his government, but he should do something about it. I still want to believe he’s capable of doing something about it and if he wanted to do it, he should do it on time. I think he has good intention, but to govern Nigeria is not easy. God will empower him and those in government to do His will in Jesus’ name.